From WWII onward, we have carried the legacy of our parents and shared in their hope, supported their dreams, in so many ways propped up the system they believed in even when we believed ourselves against it. Today, the industrialized, first world nations are in a new historic bind. The old colonizers are becoming hopeless, reflecting the attitude and reactions that used to belong to the people they colonized and the cultures they obliterated with glee. Why did that happen, and is there a way to shake the inevitable demise brought about by hopelessness off our back? How can we connect with and inspire future generations, how can we find enough strength and trust in ourselves to be able to effect real, lasting and positive change, towards the better world our heart knows is possible? All that we do, our actions, our planning, our dreams and our failures is somehow connect to the idea of money. The most fundamental, life-threatening problems that we as a species face today are rooted in the scarcity of money. For example, we are told that hunger cannot be eradicated because of lack of money, not of food. Or that we do not have enough money to invest in renewable energy, hence our need to get the energy we rely on by destroying the environment. 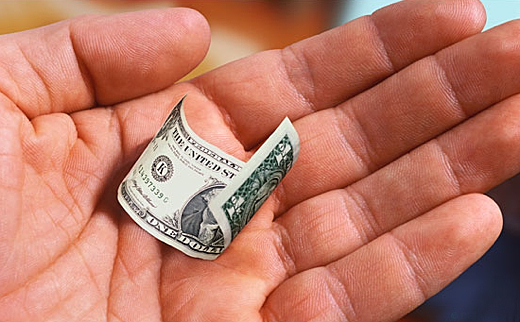 At a smaller scale, money often plays an even bigger role. We often feel we cannot really live the life we want because of money. We cannot switch to a job that is more beneficial to the world, we cannot even work less than two jobs all because we need money. If you are like me, often stuck in the understanding that unless we radically change our economic system we will not be able to get out of this rut, and often almost paralyzed by the knowledge that our infinite growth economy is quick approaching the point where there are no longer enough resources to make it bigger and bigger still, then you also feel somehow doomed: there’s hardly any viable ideas out there, certainly not mainstream, and most of us are not economists. This video is for all of us, to give us a hint that there are indeed other ways, and that we have the power to understand them and embrace them. As Eisenstein puts it, we are coming out of the childhood of man, we need to stop tinkering and playing with our toys, and become adults. This video is just an introduction. The book on Sacred Economics is here. Many people know Chögyam Trungpa, possibly the Tibetan teachers who more than others was able to translate Tibetan Buddhism into western terms. To Chogyam Trungpa’s books, blindly picked up in a bookstore as I often do when I put my trust outside of my ability to be rational, I owe my understanding that teachings necessarily hide within the folds of the society where they are transmitted, and that to look within, but to discard the opportunity to understand deeper truths because of the cultural clothes they wear is to call ourselves adventurers while refusing to sail around the world because of the color of the boat. I believe the book I picked up in the library was either The Myth of Freedom or Cutting Through Spiritual Materialism. It helped me immensely to understand the treasure trove of teachings I had received when only a child, from Chögyal Namkhai Norbu, and to restart my life long, stumbling path towards understanding the ultimate nature of reality, which I had abandoned for years in favor of a materialistic, and ultimately self-destructive, grab-a-thon. Sakyong Mipham Rinpoche is Chogyam Trungpa’s son, and the head of the Shambala Buddhist lineage founded by his father in Colorado. My good contact Brian D Hardin just posted this remarkable music video on my Facebook page which, in the classic Shambala style, sends a very western, yet universal message from the very core of the Buddhist philosophy to all of us. May it be of benefit! Posted in A New Story for the People. The question, apparently because it was so difficult to understand, had been forwarded to Clapper the day before, to give him time to memorize the “yes” or “no” answer that Wyden expected. Clapper’s reaction was not unlike that of an unprepared student called on by the teacher. He squirmed and barely looked up. “No sir”, he answered, poking at his forehead and immediately looking down again, hoping to signal he was too busy switching his mike off and on to be bothered with such trivial questions. “It does not?” insisted Wyden. As his index finger continued to scratch a hole in his forehead, Clapper with tremendous effort glanced up again and said : “No, not wittingly”. I feel pretty confident that had we been presented with two betting options, “truth” or “lie”, most of us humans would have dropped money on the “lie” without waiting for Snowden’s revelations which in fact confirmed that the National Security Agency is taking it’s job of spying maybe a tad too far. So that’s that. Clapper lied to congress. He didn’t say “I can’t reveal that”, or “we gather only certain information”, etc. – he just went ahead and said “no”. He even had one day to prepare to evade the question, and the question was so generic (any information at all) that answering with an “of course we collect some information! We’re the NSA for crying out loud!” would not have surprised nor particularly incensed anyone. 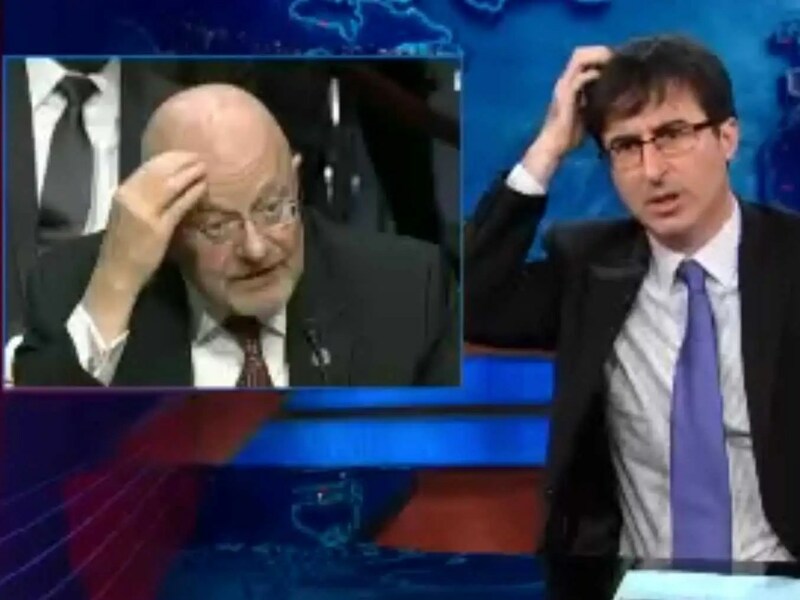 John Oliver: no spy should have that big a tell! Why did he simply lie, with only a minor pathetic attempt at a straight face, will forever be a mystery. Or will it? Because, according to Clapper, he did not lie, his was just the “least untruthful” answer to the famously unanswerable question… “when are you going stop beating your wife”. Yes, that is indeed what an ever more confused Clapper revealed to NBC on June 9th. Ok, he’s an old man, think of him as your aging grandpa, except not retired in front of the tv watching the lives of the rich and famous but actively watching the lives of billions of people, and please try to understanding his ramblings. Clapper was referring to the fallacy of asking a yes or no answer on a behavior that’s assumed to be true, like “have you stopped beating your wife?”, which, no matter whether you answer yes or no, makes you into a wife beater. “When are you going to stop…” does not require a yes or no answer of course, so it’s just something he said, part of his spy bag-o-tricks: just say stuff that sounds profound but doesn’t make any sense, and people will eventually give up trying to understand you. Effectively, in justifying his answer, once you sort through the spy mind-screwing that makes you think he’s a senile old man and clarify what he actually implied, Clapper lied again to NBC by saying: the NSA does not collect any kind of information on anyone, and any question based on the assumption that it does is unanswerable. Ah! that explains it all. When we say “collect”, they say “read”, as in “do you open up and read butterflies?”. The intelligence community simply uses a different vocabulary, possibly secret. “Gen. Clapper, does the NSA read any of the information it may happen to have gathered pertaining to millions or hundred of millions of Americans”? They never read things that they collect, er, gather, er, run into. So either the General is lying even under this new interpretation, or the NSA just likes to build new storage facilities where to store their Zettabytes of information, never to read any of them, all a big and costly joke at our expenses. They must be having a lot of fun anticipating the day in which they’ll reveal that inside their new massive storage facilities they’ve only been running NSA tournaments of beer pong. As I hope you can see from the above, not only Clapper has committed perjury and lied to the United State Congress, a crime for which he will probably never be prosecuted, but he has done so – I dare say – for no good reason. I seriously think that at that very moment grandpa lost the ability to discern the context, the possible consequences of his answers. He found “no” to be easily the safest answer to avoid further scrutiny, and dished it out, giving us a good insight into what happens when you get into the habit of using secrecy and lies to get rid of people asking too many questions: you loose track of whether or not it is necessary – or even more importantly, legal – to tell the truth or to be transparent. Like many, many intelligent individuals pointed out, the terrorists know very well that all emails, tweets, Facebook posts and phone calls are monitored, and revealing it will not surprise them. As far as the others, those whose plots have supposedly been foiled just by spying on their emails, don’t worry, they don’t know better anyhow, you’ll still catch those people. Why, there have been many credible leaks about the surveillance state before, most Americans and non-Americans knew about it, and they – like me – are not even particularly interested in keeping their opinions and conversations private, if it wasn’t for the kind of authoritarian world lack of privacy can, and will if unchecked, bring about. I am confident that people whose “careers” depend on secrecy do read the news, at least those about discovery of secret NSA spy rooms, NSA spy programs affecting tens of thousands of Americans, and so on, and out of what we may naively call an abundance of caution, may decide to use alternative methods of communication other than the traditionally bugged telephone or newly bugged social media. No, the real reason for most of the secrecy is that the NSA does not want us to know. The story we’re being sold is that there’s this wall between us and the others, which by the way includes about 7 billion non Americans, with resident aliens being in or out depending on whim. This wall guarantees – so we are told – that inside the prison, er, the happy room, we can frolic and enjoy free speech, privacy, fair competition, a shot at the healthy version of the American Dream. They are protecting us from them – the non Americans. You will be told that your rights, unlike the others’, are protected. They will tell you that with a straight face, quoting 51 percent accuracy in the surveillance system’s ability of telling whether or not the surveillance target is an American or not, as if it was some big deal technological achievement and not, as John Oliver smartly put it, simply “a coin toss, plus 1 percent“. It is when cracks appear, when suddenly we find ourselves outside of the room and as we peer through the windows we notice there’s less and less people in there, with less and less rights, that we may ask ourselves exactly what and who is being protected. The American Dream play space is only existing in stories and glossy magazines. The reality is all around us, from weekly banking crimes to wanton arrests, secret prosecutions, torture, economic disaster, environmental destruction, falling wages, loss of skills, decrepit infrastructure and a corrupt, inept, squabbling government. It is the American story that’s being protected through secrecy. The narrative that says we are free and fulfilling our nation’s mission statement, and that we should therefore keep plugging along, without asking for substantial, systemic change because the story is still intact, honesty is still an American virtue, and law and order are the pillars of our civilized society. And so while we may find comfort in the oft repeated slogan “The truth shall set you free” we are now asked to accept another, infinitely more sinister add-on: “only the untruth can keep you free”. Keep believing that you are free, and for all subjective intent and purposes, you will be. He paused and deliberately pierced each of us with the deepest of looks, while the translator repeated his warning in Italian. Across from him, a crowd of about 20 people sat cross legged on the floor. I was wearing an orange cloth and brimming with determination, a blue-eyed, blonde boy of about 12, waiting to take the five vows, on my way to a monastic life within the fold of Tibetan Buddhism. What I was feeling at that moment was indestructible, eternal, unavoidable. As usual I was the youngest one in a crowd of about twenty people and, as usual, I felt a mixture of prideful embarrassment, of being so obviously out of place but at the same time feeling fairly confident that I could pull it off. No one else ever seemed to have the insecurities I constantly struggled with. Even the hippie teens sitting around me appeared as if they knew their place in the world, looking tall, confident and relaxed. For the first time in my life, so the teacher had suggested, I was apparently making a fateful choice, one from which there was no turning back. How could it be, I wondered silently, what happens if you “turn back”? Does someone punish you? Does the Buddha not like you anymore? I felt ashamed of even having those silly thoughts, my mind running wild the more I tried to calm it. Surely the teacher just glanced at me because I was thinking too loudly… he knew that if I was thinking these thoughts I must not be worthy. Why, not even committed yet and already thinking of an escape route? Plus, he must have been pondering, look at the mess that’s going on in this child’s mind, he can’t keep still, his legs are going to sleep, all he wants to do is take a nap, while everyone else is perfectly awake, abiding and much more deserving of my blessings! Having grown up in Rome, within the folds of a strictly Christian and highly popularized view of the world, my life was all about guilt, blame, reward and punishment, made of tall and robed holier-than-thou figures who dispensed quickly with sinners of all kinds, chock-full of saints and trinities who were especially adept at knowing what you were thinking, at peering inside your outwardly behavior and judging you harshly for who you really were, you dirty little poser. Buddhism was a lot more welcoming, especially for someone like me, who every morning donned a blue coat with an over sized bow tie and headed off to a middle school whose teachers were all angry Christian priests… embracing a different religion was possibly my way of sticking it to the man. Buddhism or not, my entire outlook on life had already been indoctrinated the original sin way: there are rules and behaviors you must follow, and if you do as much as even think about breaking them, never ending fire is your punishment! Bearded God, and those other guys from whatever religion, see everything, know everything, and don’t think you can relax, dude, because you can’t. I struggled to follow the ceremony. What was that “no turning back” clause anyway? Was I doing the right thing? Would I be able to respect the vows? Would I be able to only have one female companion in my life? No problem with that, said the 12 years old in me, girls are annoying anyway. Would I be able not to kill any sentient being? Check. Never to steal? Sure… even though, as it was being explained, being at your buddy’s home and using his butter when he wasn’t around amounted to stealing, no matter if you thought it was ok with him. I’d have to learn to keep those nuances in mind, to wait around for a while until my buddy came back, then ask for the butter. It would make me look more saintly and humble, he’d be highly impressed by my excessively good manners. No drugs? No worries, I was already a master at looking down on people using drugs as an “escape” from reality. How about lying? That made me pause a bit. My mind was always running wild. Shhh… what am I doing… silence… don’t think of a pink elephant… breath in, breath out. After the ceremony, my life went on, and the matter of whether or not one could successfully abandon a one way street without incurring punishment didn’t really present itself until years afterwards. Even when I got into drugs a year or so later, the saintly bureaucrats who make sure we adhere by their rules had their hands tied, couldn’t really send me lightning bolts or nothing: I had returned my vows by then, so my spiritual papers were in order, and I didn’t really abandon the path, I simply “evolved”. It has taken me many wandering years to understand what the one-way-street idea really means. It has nothing to do with being able to turn away while no one’s watching, like I still try to do from time to time, forever trapped in a Kafkaesque universe made of musty castle rooms, filled with robed judges and bearded executioners, bureaucratic robots almost, ready to point Fingers of Shame and unload Barrels of Guilt upon me, of which they seem to have an endless supply. In that infantile view of the world, in which everything is separate, external and administered through mysterious but always public trials, all that matters is appearance, and whether or not the entities you are hiding from can read your mind. If you think they can, then you should move at least to the next room, and maybe turn on some music and appear busy doing things. In the end, I have finally learned what entering a path of no return means. It means that you can’t turn your back on experiential knowledge. Not without becoming a sorry, wandering excuse of a human until you either find someone who forgives you or you forgive yourself, depending on your ability. 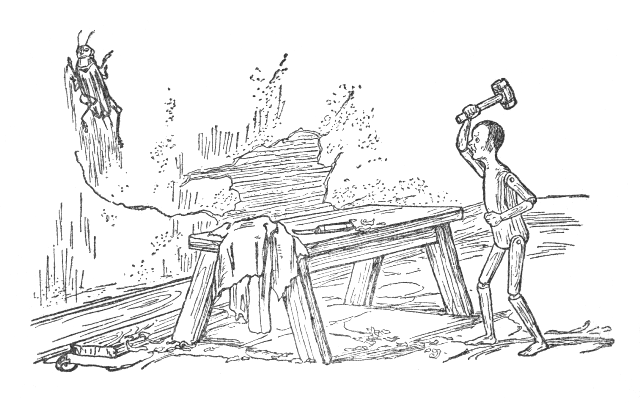 Anything that you have actually understood, not just studied in a book, stays with you, changes you in some way, and you can’t kill it with a hammer like Pinocchio hammering the Cricket (oh yes he did!). The saying “ignorance is bliss”, while usually being a passive aggressive way to call the person next to you an idiot, has other, much deeper meanings. We can in fact find warnings about blissful ignorance traded for tough, unblissful one way streets, in many stories. Adam and Eve’s tale is a very clear example of a one way street out of Blissful Paradise, triggered by the acquisition of Knowledge. Before the apple they were blissful, some would venture to say idiotic, but afterwards they could never again laugh innocently at the same joke over and over, the way they used to. No matter how much they tried, it just got old. Once you acquire knowledge, it’s hard to pretend you haven’t, and it’s even harder to go back to skipping around the woods naked when you know you look like a fool. And by the way, the fig leaf doesn’t really help that much either. No use pretending everything’s business as usual. That’s the true meaning of entering a path that is paved with the cobblestones of experience. Coincidentally, I wrote the above last night and today I bumped again into a movie called “what the Beep do we know“, which at times addresses exactly what I am writing about. I had tried to watch it a while ago but fell asleep, as soon as the New Age space music and cheap mirrored space travel effects set the tone, which is right following the annoying fake-newsreel opening. This time around, on the other hand… the exact same thing happened, and almost immediately I started dozing in and out of bad animations. Eventually though, I woke up and began to pay attention, trying to abide in a higher plane of consciousness, a plane where the ugly effects, offending 3D graphics and the doubtful acting were be unable to reach me and drag me down to movie hell with them. While flying higher than the hopeless movie making, I found many of the interviews interesting, and if any reader is able to separate noise from signal in a similar way I would heartily suggest watching it (with the movie lasting a lofty 2.5 hours you can take a long nap and watch a movie at the same time, therefore paying homage to the quantum double-slit theory expounded in the film). One of the points the movie makes is that if everything is connected across space and time, something which quantum theory scientist have just proven about a month ago, then not only everything we experience changes us irrevocably, but everything that perfect strangers have done, are doing or will do, also changes us, right now. Crawling back to my own puny point of view, which simply slides along time in linear fashion, I can say then that I have understood that direct knowledge and actual experience change us, even if just in terms of synopses, hence the inability to go back to “ignorant bliss”. “If you’ve listened and remember anything that I’ve said”, said one of the smarty pants in the movie, “your physiology is different than it was before. Basically memory has been encoded, and your genetic structure has changed”. Eve therefore never stood a chance after hearing the Snake’ speech, she was already a new woman. Biting the forbidden fruit was just a formality, a toast of sorts to her new informant. Basically, the fundamental suffering of existence is caused by chemical withdrawal, as the emotional signals we send to our bodies are in constant flux. As we grow up, we are told that we learn “who we are”. What that means is that we establish chemical grooves between our brain and the rest of our body, we train groups of synopses to relate to each other as opposed to other groups, and master ways to “feel good about ourselves”. As little kids we tend to simply repeat over and over (and over) the actions and experiences which make us feel good, from watching Polar Express a million times to telling the same joke again and again, time after time until, to our surprise, older folks tell us to cut it. As teenagers, we are basically becoming more nuanced at this, and we perfect a whole assortment of methods for drugging ourselves, from music to love to incessantly talking about the things we like as a way to re-create the emission of chemicals that get us high on feelings. Young kids and teenagers are extremely sensitive to the chemical signals, and it’s easy to see. Disappointments are crushing death sentences, just as happiness is definitely the best, ever. The same happens when we experiment with new drugs. At first their effect is just mindbogglingly fresh and exciting. It is when we enter the “habituation” phase, grow up and become used to the same chemical outbursts, that true love becomes harder to find, and that life risks becoming one long drugged stupefaction. As addicts will, we also tend to prefer stupefaction to withdrawal by the way, which is why we tend to resist change even when the situation we’re in is obviously not a healthy one. Take the current state of the planet for example. In the so called First World we live in a society that has perfected the delivery of chemical/emotional satisfaction, attempting to increase the dosage with every new special effects movie, every new beeping gadget and wobbling robot. But as most of us know, the dosage cannot be increased indefinitely before something gives in, the addict dies or the drug runs outs. We know that, and there are signs of both things happening. The planet is dying, and we’re going crazy as a society, losing our common sense, our ability to adopt correct solutions, to work as an intelligent community, to be, in short, functional in a positive way. Nonetheless, vast portions of society prefer to dwell in the drugged stupefaction delivered by the various industries which cater to our growing inability to soothe ourselves. The fear of withdrawal is tremendous, and we should not judge so harshly those who are afraid, just like many of us have learned to understand the predicament of the street addicts. The denial that accompanies the on-going, exponential destruction of our resources, of the air we live on, our food supply, our water and our health, is nothing but Adam and Eve’s attempt at closing their eyes and regaining their “ignorant bliss”. There’s no real turning back from change. Those who have awakened will not go back to sleep, and while they may wander and feel depressed, they will be unable to revert to the ways of old, no matter how many photons they can successfully entangle. The good side of it is that after withdrawal, and after our many, unsuccessful and pitiful attempts at praying, begging and desperately knocking at the closed doors of Heavenly Ignorant Bliss, we turn around with a sigh of resignation and realize that the new road ahead is not that bad. Actually, it is green, cleaner, empowering, positive and … look!, there’s angry Buddha down there, having a great laugh, and he’s not wearing any clothes! Flatland, the Movie – the “beep” movie mentions it and I read the book many many years ago, but I have not seen the movie. Update: I did, and fell asleep.